With jackpots starting from €17 million that go all the way up to €190 million, the EuroMillions is the biggest lottery in all of Europe. Find out everything about how to play EuroMillions and buy your tickets online from wherever you are. To play the EuroMillions, you have to choose 5 main numbers from 1 to 50 and 2 Lucky Stars from 1 to 12. The main goal of the game is to match all the 7 numbers and win the big jackpot. If you only guess some of the winning numbers, you will win one of the secondary prizes. There are 13 EuroMillions prize tiers in total, so there is a lot to aim for in the game. Let your inspiration guide you to choose your lucky numbers. Go with your instinct and pick them manually or leave it all up to fate. With the Quick Pick feature, you can play with completely random numbers. Some of the biggest EuroMillions winners have won their millions this way, so it’s certainly worth trying out. When Are the EuroMillions Draws? 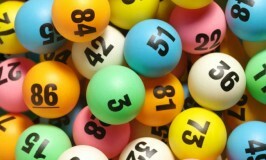 EuroMillions draws are held twice a week in Paris on Tuesdays and Fridays at 20:45, local time (GMT+1). While the game is played in x countries, the winning numbers are drawn in Paris. When you play EuroMillions online, you can purchase your tickets before the draw and then simply check your numbers to see if you have won any of the EuroMillions prizes. At the moment, there are 9 EuroMillions countries – Austria, Belgium, France, Ireland, Luxembourg, Portugal, Spain, Switzerland, and the United Kingdom. Each country follows the same game format and offers the same EuroMillions prizes, but some of them offer some extra features as well, such as the EuroMillions raffles. When you play the game online, you can choose which version of the game you want to play. Some of the EuroMillions countries offer raffles, which are an additional opportunity to win. You can win some impressive prizes without matching any of the EuroMillions numbers. Raffle prizes go to those who have the winning codes on their tickets. France EuroMillions hosts the My Million raffle, which offers a €1 million prize each draw. The Spanish version of the game hosts the El Millón Raffle, which offers a €1 million prize per week. Another great raffle is the Millionaire Maker in the UK, which puts out a £1 million prize each week. To find out about all the raffles in the game, read our EuroMillions raffles page. The EuroMillions is available in 9 countries, but you can play the game online from anywhere in the world. With lottery messenger services, you can simply set up an account and make the purchase online. Your top choice is the world leading company, theLotter. Their agents will buy official tickets from authorized retailers and make the entire process accessible to you. Playing EuroMillions online is simple and efficient because it offers some very tempting advantages. Not only can you play the game from anywhere in the world, but you can actually expand your lottery strategy and get a better chance of winning. Convenience – Fill out your entry, purchase your ticket online and you are done. Then, you can check results and catch up on the latest news online from the comfort of your own home. Play EuroMillions with Official Tickets – theLotter purchases official EuroMillions tickets from authorized retailers and stores them safely on your behalf. You are the only legal owner of the ticket, which means that you are entitled to all the winnings it may generate. Safety – When you purchase physical tickets, you have to find a safe place to store them. When you play EuroMillions online with theLotter, your tickets are stored for you in a safe. If you win any of the EuroMillions prizes, you can rest assured that your entry is safe. Automatic Win Notifications – Millions in prize money go uncollected every year. When you play online, you’ll be notified via email or SMS every time you win. Play Strategy Opportunities – theLotter offers EuroMillions syndicates, bundles, and systematic forms, which can help you improve your odds of winning. Boost your game by playing online!